Take your favorite Mount with you! 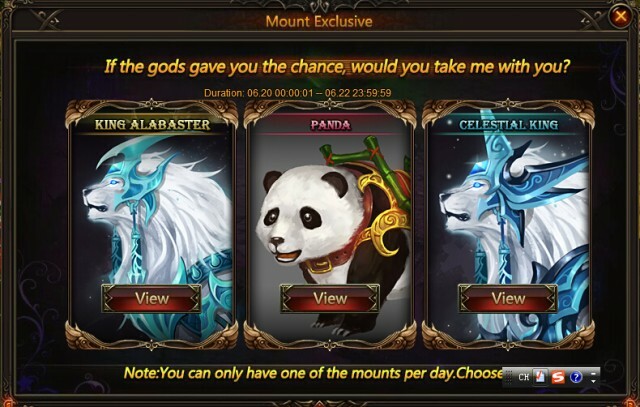 In the Mount Exclusive there are 3 Mounts, King Alabaster, Panda, and Celestial King awaiting you! Which Mount do you want to join your world? Choose one mount and complete tasks, and then you can take it into your team! You can walk away with one mount per day in Mount Exclusive and use the Mount Bonus Card to swap an extra reward. So be careful, don’t choose a mount that you already had. Players can get certain mount in the event after finishing the goal. 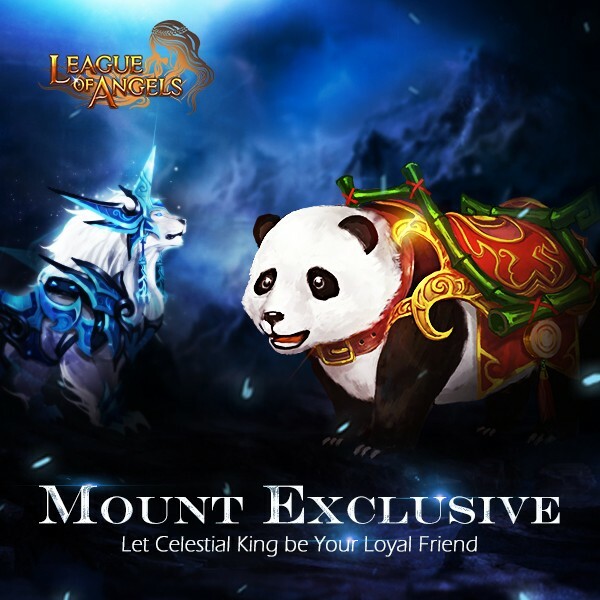 -If you have got a mount from the Mount Exclusive event, you can use an Mount Bonus Card to get rewards! And what rewards you can get depends on the mount you have got. Meet certain achievements to gain Sapphire and swap Mount Bonus Card for bonus in later event: Mount Exclusive. Note: The bonus card can only be used after you obtain a mount from the Mount Exclusive event. Description: You can fulfill following tasks to gain Sapphire and use it to swap Mount Bonus Card! More exciting events are coming up through Jun 20 to Jun 22 (Server Time)check them out in the in-game Hot Events menu now!